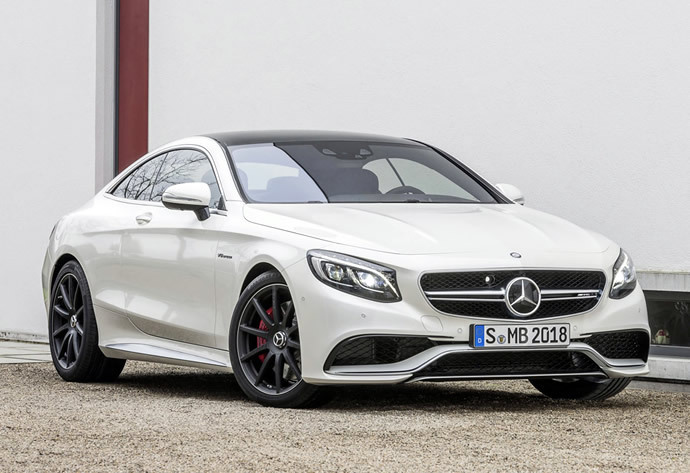 Making a debut earlier this month at the 84th Geneva Motor Show, there is no doubt that the brand new Mercedes Benz S Coupe is arguably one of the best looking two-door there is. 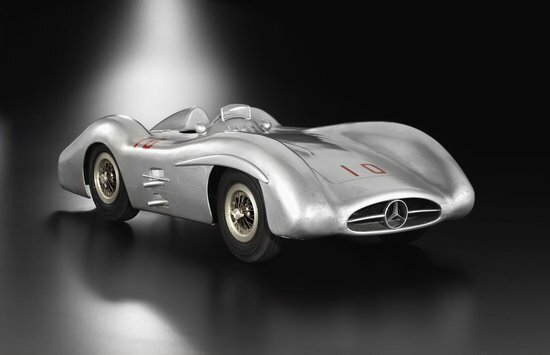 It comes with all the bells and whistles one can ask for and the German automaker went to extreme lengths to make to achieve the jaw dropping level of attention. 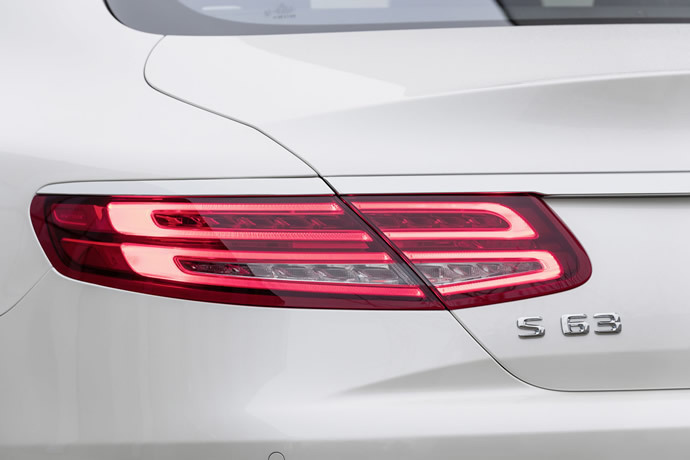 After the S550 Coupe 4MATIC model, Mercedes has lined up the most powerful option of range to make a debut at the upcoming New York Auto Show in April. 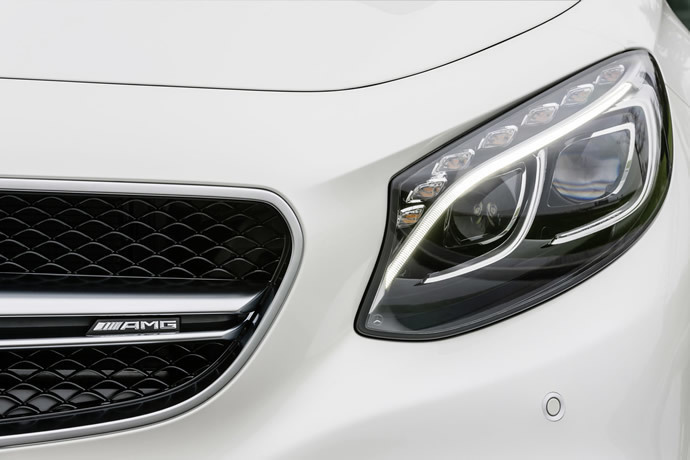 Introducing the 2015 Mercedes Benz S63 Coupe AMG 4MATIC, it is the high performance AMG variant. 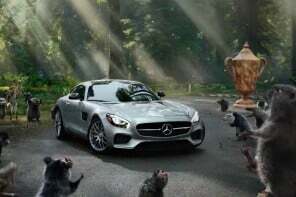 Under the hood lies the familiar hand built AMG engine which is a twin-turbocharged 5.5-liter V-8, but the power has been up-rated to a massive 585 hp and 664 pound-feet of torque. 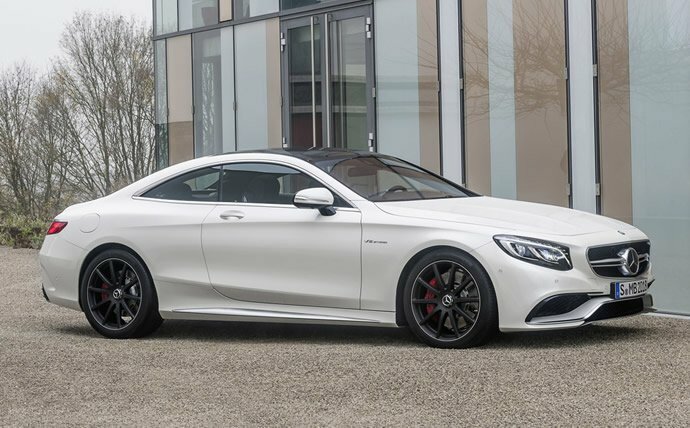 It’s 8 horses more than the S63 AMG Sedan and has an advantage of extra 135hp than the standard S550 Coupe. 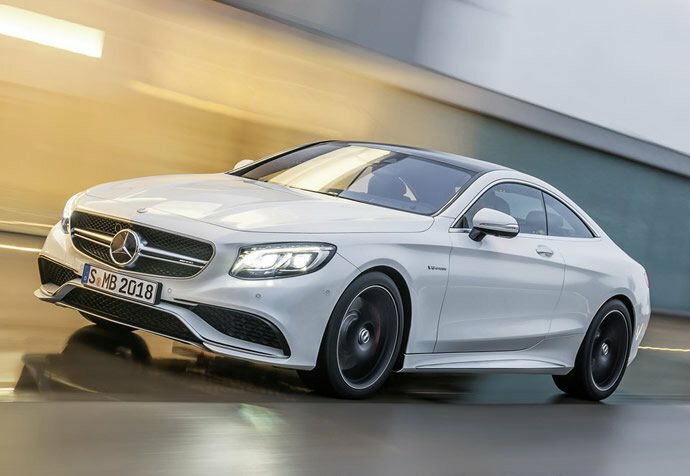 The engine is mated to AMG’s SPEEDSHIFT MCT seven-speed automatic transmission, and thanks to the light weight body and massive power-train, the S63 AMG Coupe is capable of going from 0-62mph in just 3.9 seconds. 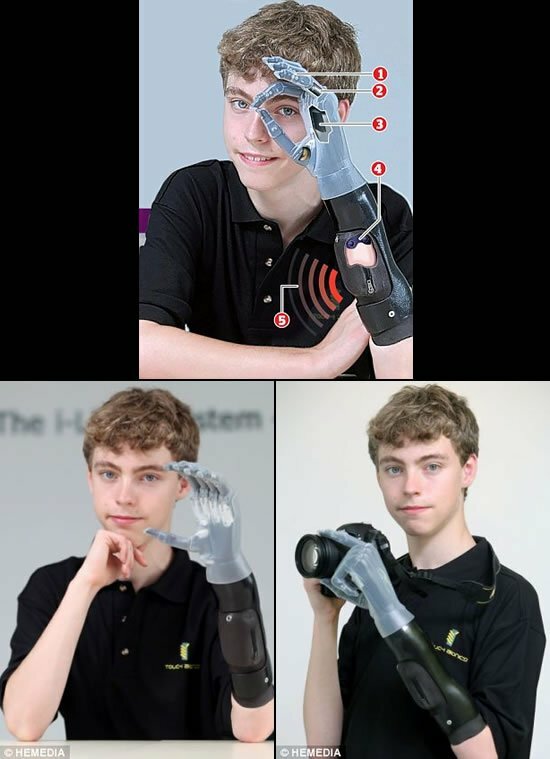 The top speed is limited to 186mph. 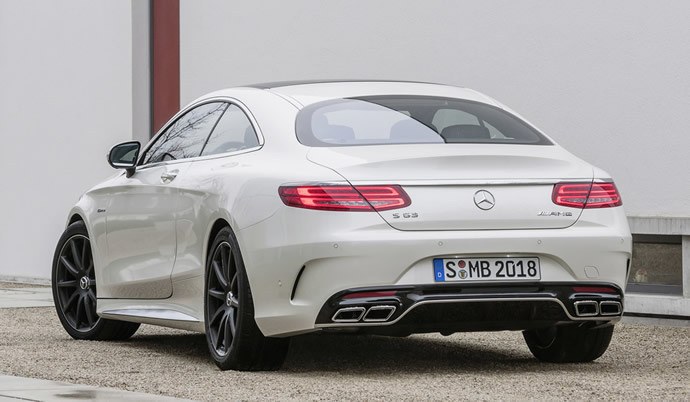 The S63 AMG Coupe will come with the all-wheel drive option as standard to the United States as opposed to the rear-wheel drive variant for other markets. 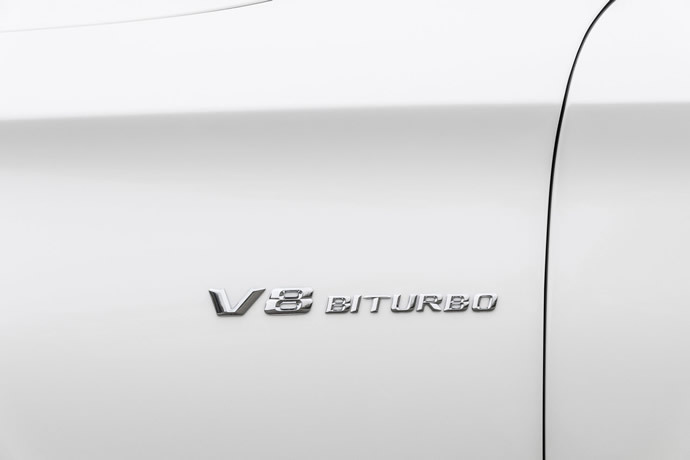 The 4MATIC setup in the Coupe has a 33/77 split of power with bias to the rear wheels, which means it won’t be difficult to stick its tail out in the corners. 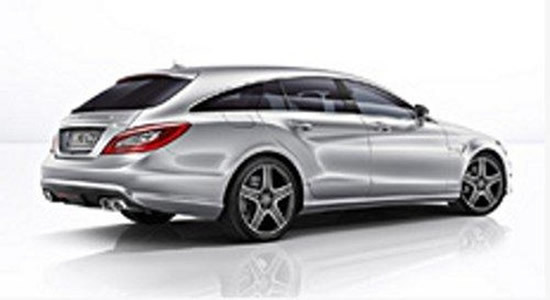 As for the cosmetic changes, on the outside, it has all the signature AMG enhancements. 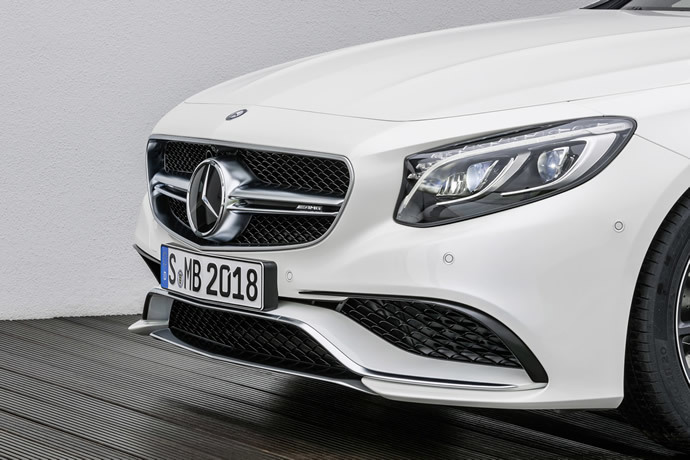 The most noticeable features on the exterior are the twin-blade grille which is placed under the chiseled A-Wing bumper and splitter, integrated diffuser with a gloss finish and four squared-off exhaust tips on the rear side and the V8 BITURBO badges on the sides. As far as the interior goes, it has all the luxury options offered by the brand new S Class family which have been made sporty with AMG’s own touches. 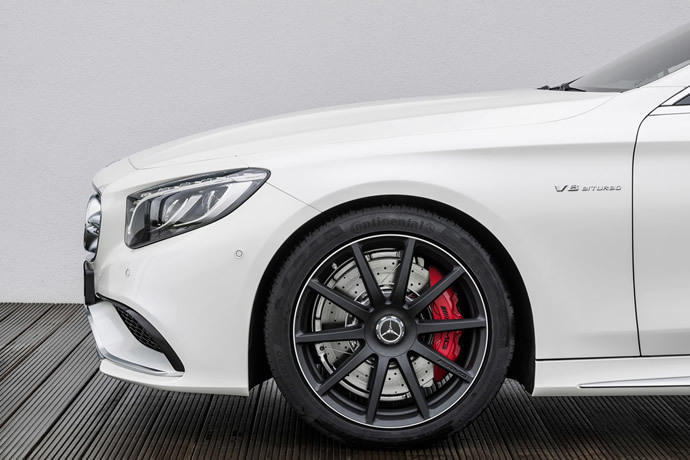 The AMG bucket seats, embossed AMG logo on the center arm rest, three-spoke sports steering wheel, and AMG instrument cluster with two animated round dials dominate the cabin. The pricing will be announced near its official unveil at the New York Auto Show but by our estimates, it should near the $200,000 value. 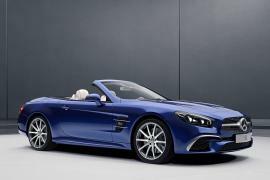 As of now there is no word on the V12 powered S Coupe which should be the range topping model.